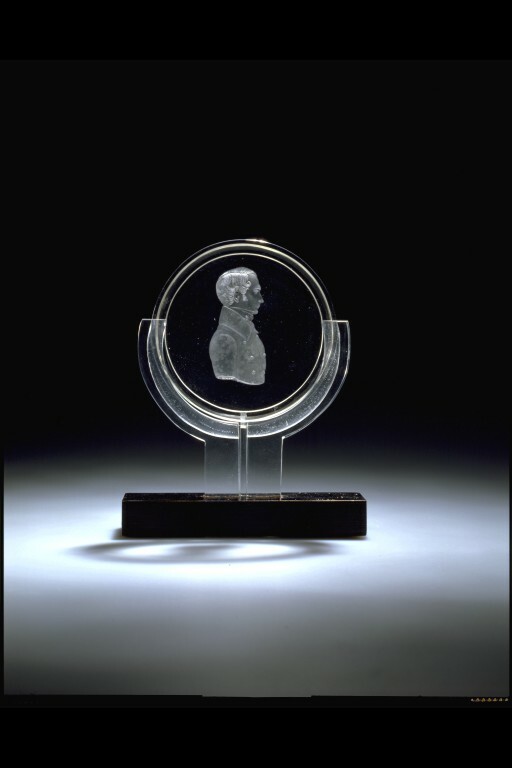 Biemann's portraits on glass reflect the interest in small portraits during that era. 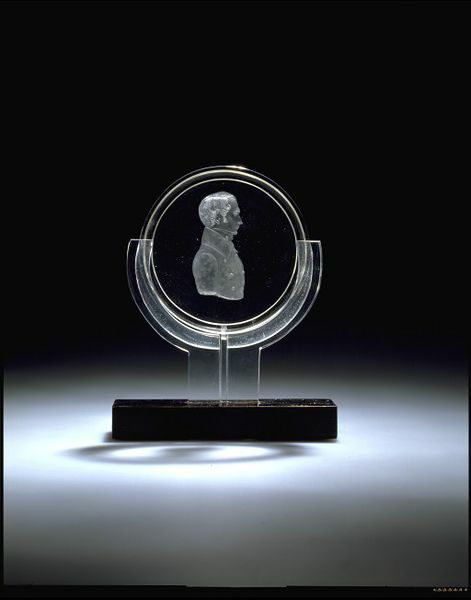 Throughout the summer months, he had a business in the spa town of Franzensbad and relied heavily on the trade of the visiting middle classes, including, Joseph Williams Blakesley who visited Europe betwen 1839-45. Signed "D. Biman F". Bought with assistance from Christie's Auction House and the N.A.C.F. Dominik Biemann's Dealings with the Dealer Steigerwald in Frankfurt am Main', F. Biemann, Journal of Glass Studies, New York, vol.X, 1968 'Gläser der Empire und Biedermeierzeit', G.E.Pazaurek, Leipzig, 1923 'Der Erste Glasschneider der Biedermeierzeit', G.E. Pazaurek, Kunst und Kunsthandwerk, Leipzig, 1921 'Dominik Biemann', Z.Pesatová, Journal of Glass Studies, New York, vol.VII, 1965. Biemann belongs to the long and distinguished tradition of Bohemian glass engraving. 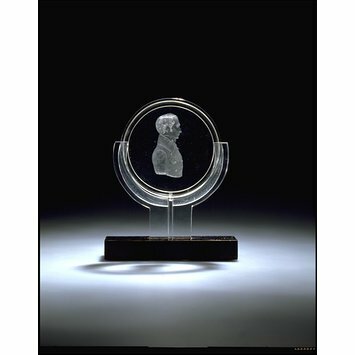 His portraits on glass, which reflect the general interest in small portraits during that era, are outstanding in the their detail and perceptiveness. He spent his summers at the spa town of Franzenbad, engraving the visitors, and that is where he may have met his sitter, who was a member of the Apostles Club at Cambridge, a friend of Monckton Milnes and Alfred Tennyson. According to Paul von Lichtenberg, Munich (letter 17.8.1998 in Obj.Info file) Blakesley (6-3-1808 - 18-4-1885) visited Franzensbad in 1839, 1840 and 1841. On stylistic grounds, Von Lichtenberg suggests 1839 as date. Later he added that the F (not P) in the signature stands for Franzensbad.